"This is a recipe for people who like banana bread and muffins. 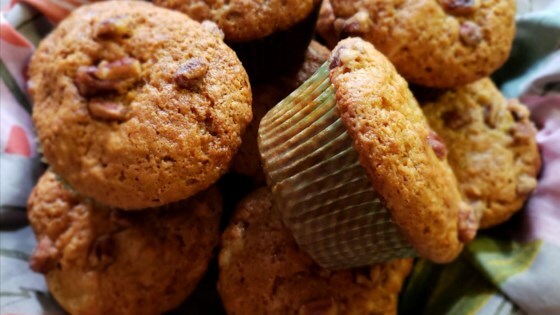 These are great breakfast muffins! You may substitute coconut for some or all of the walnuts if you wish." Really delicious banana bread in muffin form. Just a tad too sweet--maybe I'll use less sugar next time--but very tasty. I'll probably make this more than once. Great recipe. I cut down the sugar to 1/2 cup and they turned out perfectly. Better than banana bread. Very good recipe!! The only thing I did different was to bake at 325º for 30 minutes ~ perfect. Wonderful for breakfast!